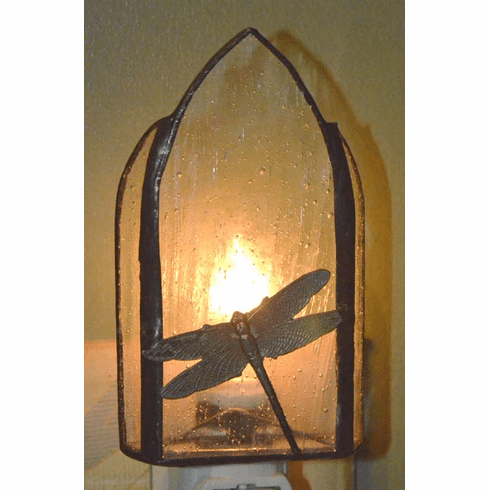 Dragonfly Art Glass Night Light - Beautiful antique bubble glass encased in a hand soldered frame and adorned with a detailed dragonfly. Perfect for a dark spot in your hall or bathroom. Bulb included. Measures 4" x 2-1/4".